I am a crafty girl and I love making old things new; turning paper into decor, cards or scrapbook pages. My home and garden are my happy places! I also love everything about my family. I have 4 children, 3 grandchildren, 4 grand pups, and my own sweet rescue, Annie. I hope you’ll come to my blog often and be touched by my story. I'm still in Seattle, (I'll be home Thursday) but wanted to share a new tool that I received before I left. 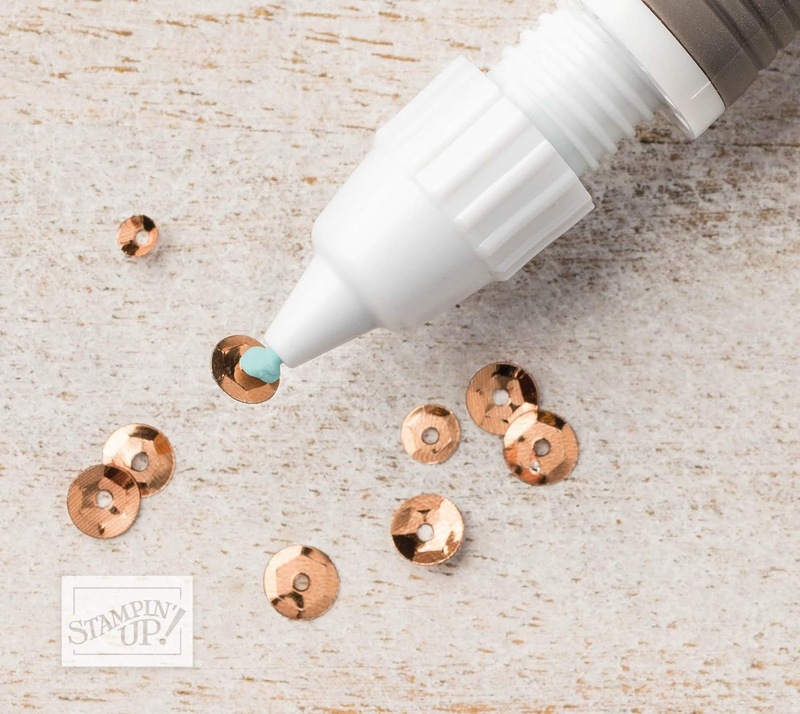 The new tool is called the Take Your Pick Tool by Stampin' UP! 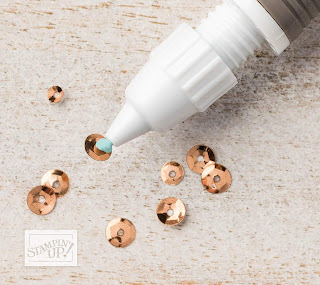 I tried it out and it works like a charm to pick up itty bitty pieces, such as, sequins, sprinkles, gems, buttons and other small items with the tacky putty tip. The tool also has a paper piercer attachment, small and large stylus, and a mini spatula. It's in the Holiday Catalog on page 30, #144107. Cost is $10.00 which I think is quite a deal. The nice thing about it is you'll never run out of putty because Stampin' UP! offers replacement putty tips. Well, I hope you have a wonderful day! It's sunny and 70 degrees in Seattle, and I'm enjoying my time with my eldest son, Mark, today, at his apartment downtown. Now, to break for lunch! PS. If you need a holiday catalog, please let me know and I'll send you one. I'm married to the most wonderful man in the world. I have 4 grown children, 3 grandchildren and Annie, a five year old Golden Retriever and Chow Chow mix. Projects come right to your door!